However, it now seems that speed limits are here to stay for the forseeable future. Notwithstanding the respect for the family and friends of the innocent spectator who lost his life, a racetrack with speed limits is a pretty daft solution to the problem at hand, which was elite level GT3 racecars getting airborne on one section of a 20.8km circuit. As a privately-owned company with its own inusrance issues capricorn Nürburgring GmbH has to be seen to reduce the potential for repeat accidents. In theory, there’s nothing stopping a GT3 car rocking up to a TF session and cirulating the track at near competition speeds. Despite that, in real terms the TF speed limits are not too much of a concern to the ongoing appeal of the Nürburgring. The number of cars—and more pertinently, the number of drivers—capable of reaching those speeds during public sessions is very small. 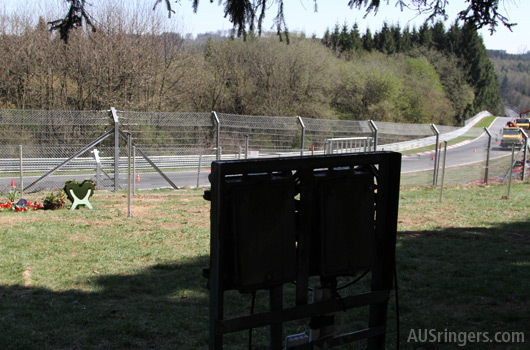 It’s the possible impact the speed limits will have on industry pool testing and ongoing motorsport activities that could have a longlasting effect on the mystique and aura of the Nürburgring. Let’s face it lap records at the Ring have become a marketing smorgasboard in recent years for manufacturers desperate to appeal to new and existing buyers. 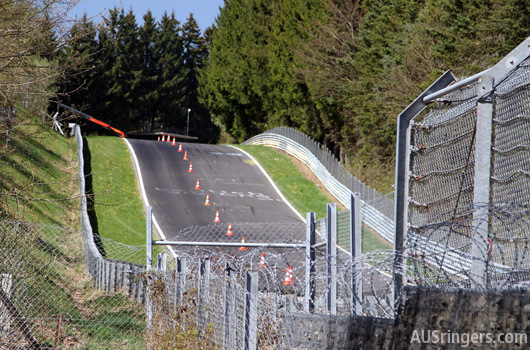 We don’t know what the future of the Nürburgring holds. What we do know is that a racetrack which places artifical limits on the performance of racecars is not good for competition and not good for fans. 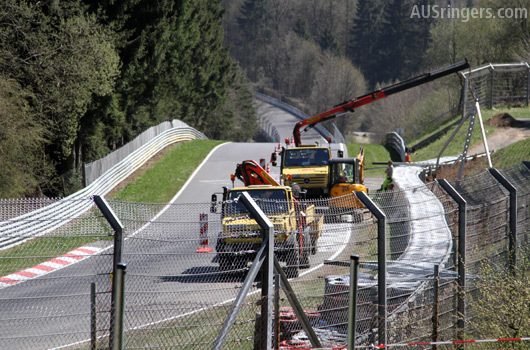 Further, the extension of speed limits to all track activities will, for the time being, potentially prevent the marketing and advertising spin off dollars from leveraging off the aura of the Nürburgring. What do we have left? That’s the real question and if I lived in or around Nürburg I’d be very concerned. Seems, that the owners have absolutly no reference to motorsport at all. If you try to make this track less dangerous, you try to kill it! Can understand position of a privately-owned company but let’s hope this is not really a long-term solution.